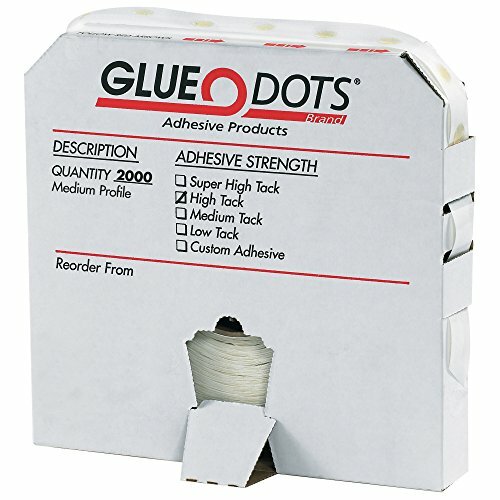 Medium profile high tack glue dots are packaged in a convenient dispenser pack. High tack strength permanently secures items to virtually any flat surface. Dot thickness 1/32-inches. Bonds instantly. Attach paper, coupons, business or reply cards to samples. Clear dots remove cleanly. Measures 1/2-inches diameter by 1/32-inches thickness. View More In Adhesive Dots. If you have any questions about this product by Glue Dots, contact us by completing and submitting the form below. If you are looking for a specif part number, please include it with your message.